Entry level membership to join the community. Get involved in impactful events, host your meetings at a discounted price, and get access to the Hub Cafe. A Hub membership is individual. Want to experience the Humanity Hub first-hand? Come along to one of our Hub Experience Days for a tour and a conversation! Still have a question or two about becoming a member (or anything else)? Contact us today! Do you need a workspace that fits your schedule? Are there multiple people from your organisation who would like to join? Maximise your experience with a range of options designed to help you get the most out your membership. Use the Hub as your workspace at your own convenience. 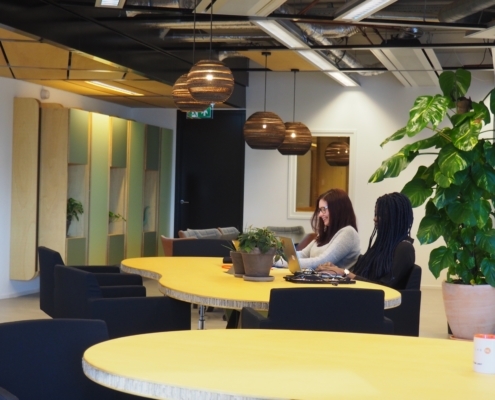 Open and flexible access to our co-working space, to suit your specific needs. Bring your team to join and work in the Hub. 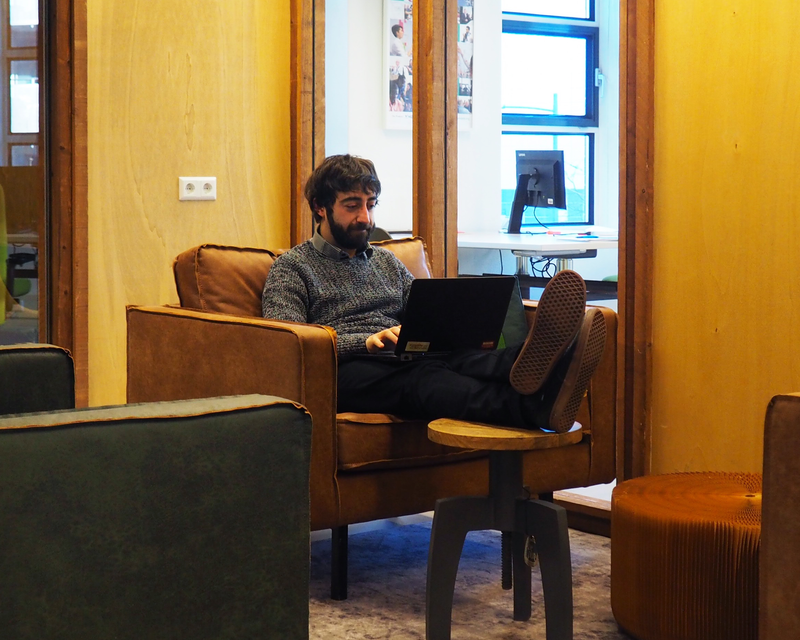 Have your own dedicated desk in a quiet open space, from 200€ per person per month, with a minimum of 4 and up to 6 people. All team members get 24/7 access to the Hub and its facilities. For organisations that want to provide 2 or more of their members with a Hub membership with optional shared co-working bundles. Increasing discounts are applied to larger teams. Increase your impact through valuable connections. Join regular social events and access the online community platform. Active knowledge brokering and assistance in connecting to collaboration partners. Support in promoting your projects and opportunities. Platform to help facilitate interaction, explore collaborations and co-create impactful projects. Actively participate in a wide range of meaningful events focusing on innovations in the fields of peace, justice, development, and humanitarian action. Fully equipped, variously sized meeting rooms and flexible event space available at a discount. Comfortable facilities with ergonomic furniture, high speed internet, free printing, and bike storage. Use of the common kitchen with complimentary tea and coffee, and enjoy the Hub Cafe’s locally catered lunch buffet. The Hub offers us not only a very friendly working space, but also relevant collaboration opportunities. We need partners – old and new – for our events on the crossroads of innovation, learning and humanitarian action. And we do find a lot of refreshing partners in this hub. We are joining the Hub for a few reasons. To start, it’s a great place to meet like-minded experts and to find compatible areas of expertise. At the Humanity Hub conversations are about the beneficiaries of our organisations, not profit; the focus here is on what we can do for good. The Hub is a breath of fresh air, as most of my team work abroad or remotely. Being here at the Hub allows Thaki to cooperate with other organisations and attract valuable connections for our development.